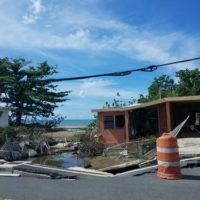 To say that many Florida families have been waiting for assistance from the Federal Emergency Management Agency (FEMA) after Hurricane Irma is an understatement: It has been over a month, and still, many families are waiting for someone to come out and just inspect their flood-damaged homes so that they can move on and apply for assistance. While the agency arguably worked to address immediate needs, it has been completely inadequate at addressing the aftermath and in providing basic disaster assistance. Many are now waiting for FEMA payments and/or have had their applications for assistance unjustly denied. One of the biggest issues is the backlog of properties to inspect, as citizens are not eligible to receive federal assistance until a FEMA inspector analyzes any damage done by the hurricane. Yet, as of now, the average wait for an inspection is one month in Florida, with some reportedly waiting more than 50 days. This has many, instead, placing their faith in filing effective insurance claims to try and rebuild their lives and properties after the disaster. FEMA very obviously needs to hire more contract inspectors in order to meet basic needs after Hurricane Irma. The wait times associated with the Florida disaster have far exceeded those of past disasters, such as Hurricane Katrina, where people waited an average of five to 10 minutes to speak with a representative on the phone. With Katrina, home inspections were also completed anywhere between 10 days and two weeks after homeowners submitted their applications. Unfortunately, families who do not obtain legal assistance are also waiting on flood insurance payments for more than a month. In addition, homeowners’ insurance rarely covers flood damage, leaving many in limbo, waiting on flood claims filed with their insurance companies. The last shelter in Florida closed on October 21, leaving many residents living in their moldy, sometimes even condemned buildings that pose significant health and hazard concerns. Navigating the multi-agency bureaucracy has left many in Florida out of luck, and out of a way of providing for themselves and their families in the wake of disaster. Rather than depend on federal assistance to put your life back together after the hurricane, why not ensure that you file the most effective insurance claim possible with your insurance company, and that any payments that are due to you are not dangerously delayed? Contact one of our Florida insurance claim attorneys at HD Law Partners today to find out more about the estimate and payout to repair your home. 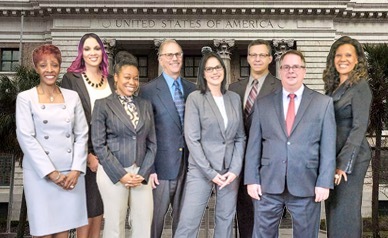 Consulting with an experienced attorney can help you avoid experiencing difficulties in the claims process, and our attorneys have significant experience with assisting homeowners with their insurance claims.